December is the month of holidays and celebrations. Its the last month of the year and we go haywire about how the year has gone by and what resolutions we need to take for the upcoming year. Winter is at its peak and you get cozy under your blanket with that warm cup of chai or soup and hot pakoras. I have been down with severe cold and fever since the last five days and believe me, I don’t remember a time when I was so sick. Thanks to my first winter in North India and to my husband’s friends who decided to host a party at night in the outdoors. Oh well, I hadn’t even worn a sweater or jacket that night. Nevertheless, it’s three days to Christmas and I feel jingle all the way, especially after receiving lots of gifts from my Secret Santas. More on that later. Now, I wanted to present to you a Christmas Cake recipe. But who better than my guest for today can do it for you guys! My Guest blogger is Tina from Twinkling Tina Cooks. 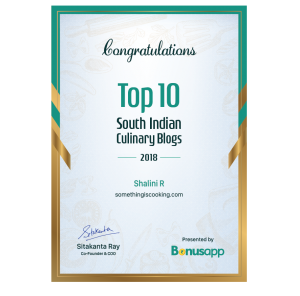 I have known Tina since forever, ie, since the time I’d started my blogs and I’ve always been in awe at her simple, easy recipes. 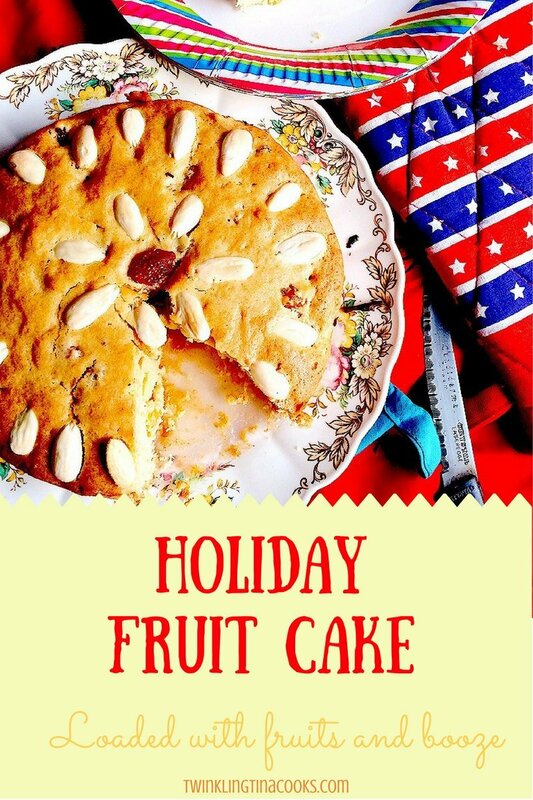 Her beautiful photography has always drawn me to the blog and I’m so happy that she took up my request and decided to give you my dear readers this gorgeous looking Holiday Fruit Cake. 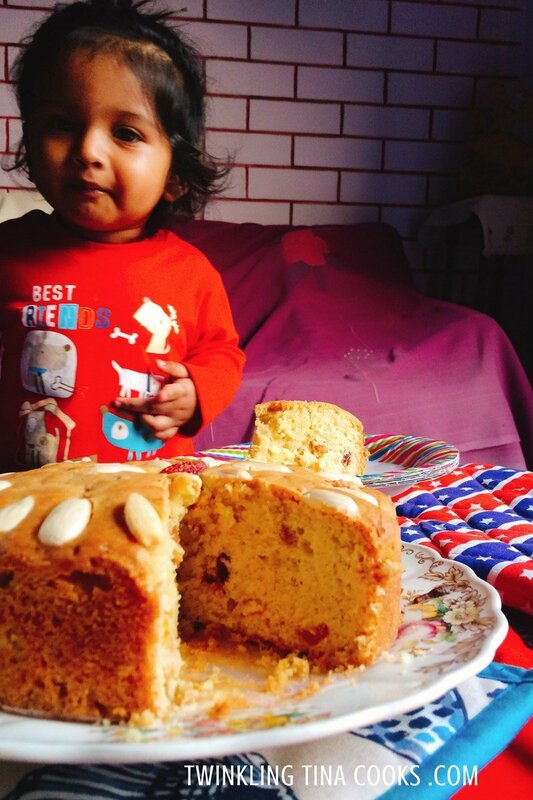 While I relish this cake, you can read on and try this recipe. Oh, don’t forget to hop on her space and send love! If you know me then you probably already know how much I love baking. I not only find baking easy I even find it therapeutic. Don’t think I’m mad but I frankly like the smell of a preheated oven! And when it’s Christmas knocking on the door you have tons of excuses to bake. My mum is very fond of fruit cakes. I asked her if she particularly wanted something else – she said use up my almonds please! 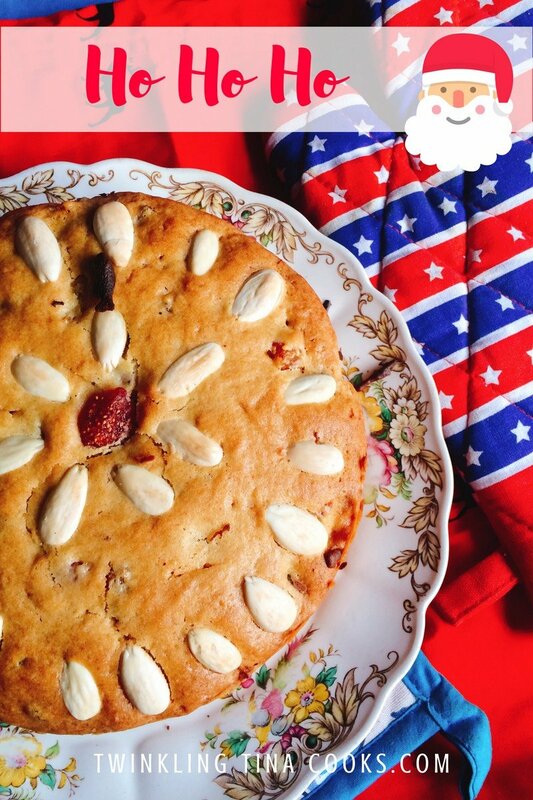 So this Holiday Fruit Cake is not just loaded with dried fruits but has the goodness of almonds in it. times when it’s very cold. And the cake is not being soaked in Brandy. Did you know – it’s called ‘maturing the cake’? For weeks a traditional Christmas fruitcake is matured with alcohol to get the wonderful booziness. But I skipped that this time. WHICH FRUITS GETS IN A FRUITCAKE? When we think of dry fruits we normally think of raisins, almonds, cashews, pistachio and dates maybe. When we think of a fruitcake we can think of cherries and currants. But that’s mainstream, isn’t it? I decided to ditch the mainstream and go the exotic way. Holiday Baking is supposed to be fun anyway! This this cake has dried strawberries, dried apricots, dried cranberries, dried kiwi, apart from the regular raisins! And all of those were soaked overnight in Brandy! Yes we like some booze in our cakes. 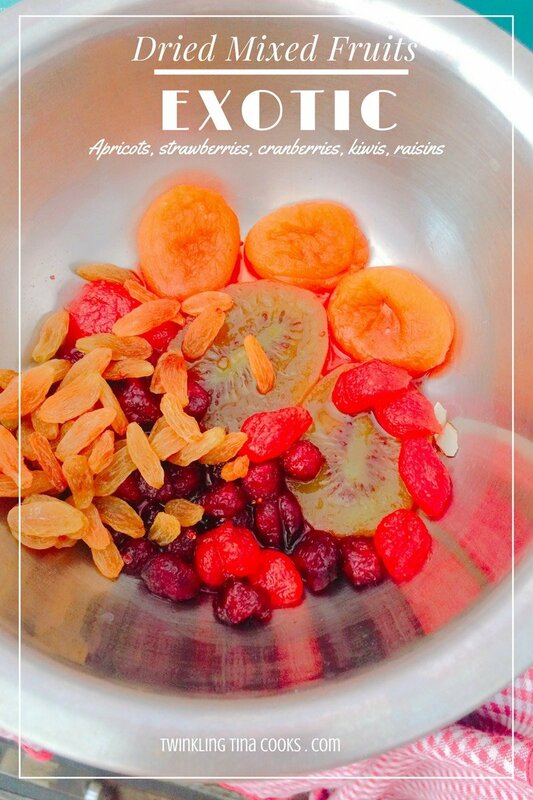 You can in fact add any kind of dry fruit that’s sweet or little sour. 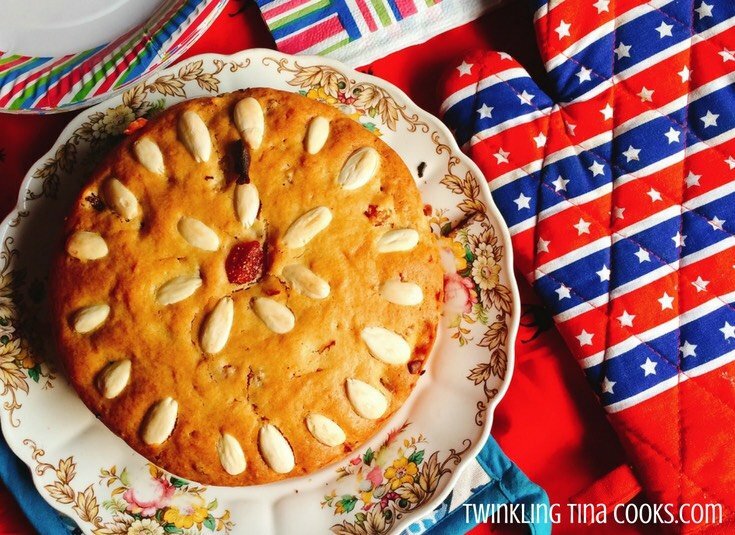 Candied papaya, fruit peels, cherries – everything works well in a fruitcake. 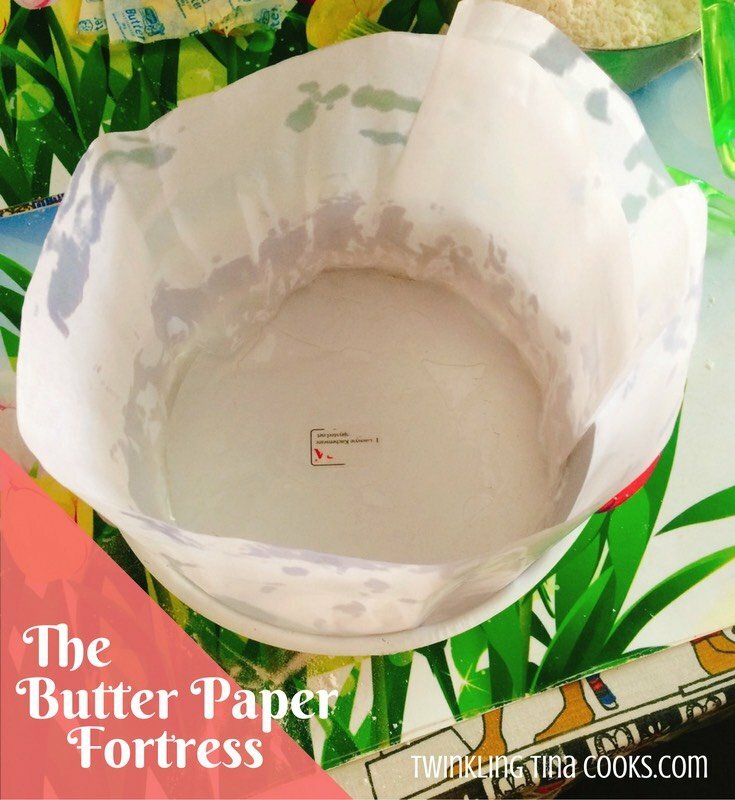 When I bake a cake I like using butter paper – it makes de-molding easy like a child’s play. I have used an 8 inch round baking tray which has been greased with some melted butter – a tiny little bit works. Take some butter paper and cut a round shape and a long strip so that you can line the insides of the baking dish. This way while de-molding you can simply pull it out. Pre heat oven at 160 C or 320 F.
This is a fairly simple recipe where you make a wet batter and add the dry ingredients to it. In a mixing bowl start with creaming butter and sugar. After a very long time I did all the mixing by hands! But go ahead make your life simple with an electric mixer or a stand mixer. When the sugar and butter is all airy and creamy add the eggs one by one. This will make the batter moist. Add in vanilla extract and mix. 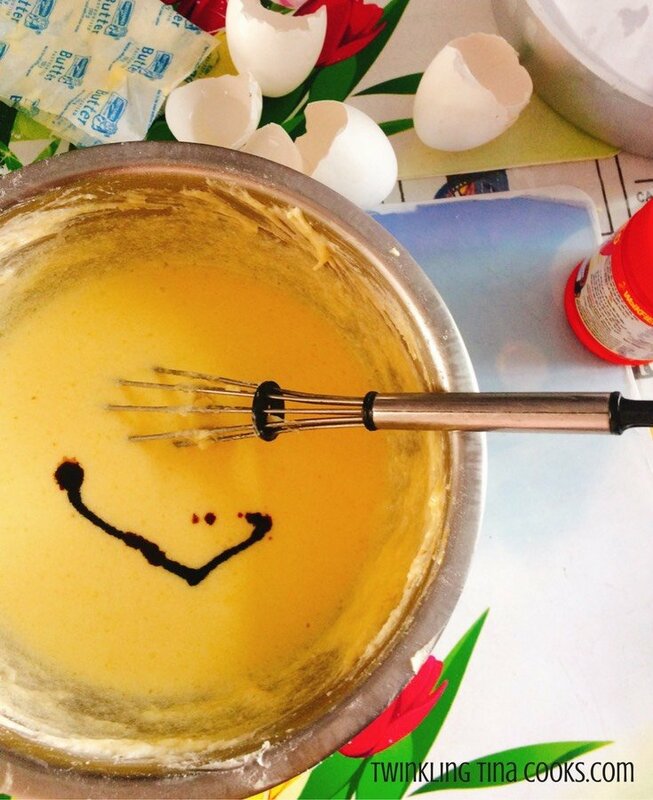 Pro Tip: When you add eggs the batter might look cuddled. Don’t lose your mind over it. It’s Absolutely normal. In a separate mixing bowl mix the dry ingredients – sifted flour, baking powder, salt, almonds flour or ground almonds. Mix them with a spoon so that the baking powder mixes well. 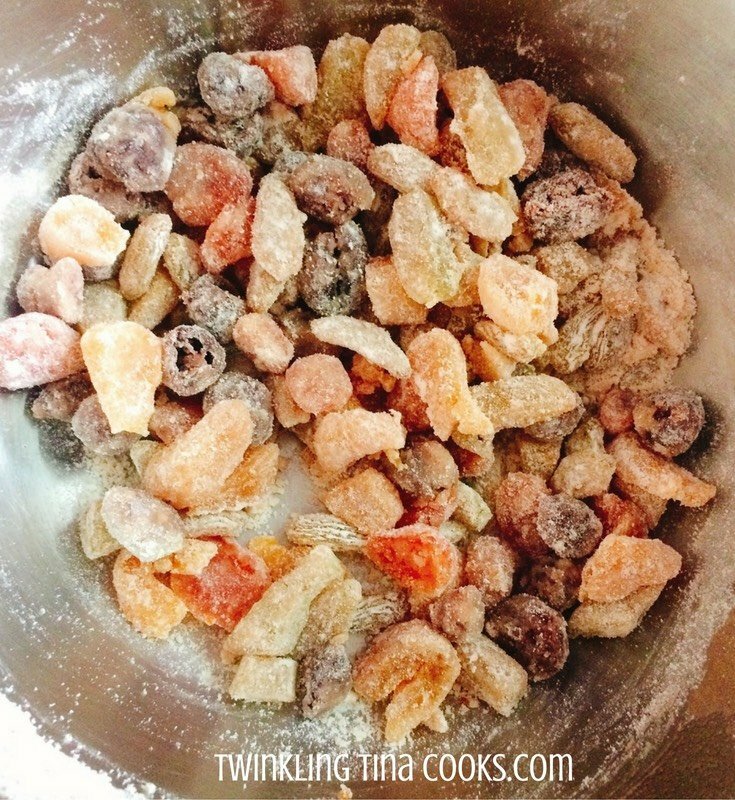 Once this is done take a few spoonful of this flour mix and mix it with your soaked dried fruits to coat them well. Pro Tip : If you don’t coat these (or anything that you add in a cake batter) with flour they tend to sink to the bottom of the cake. Once coated add them to the wet batter and fold with a spatula. Add the flour mix to the wet batter. At this stage start folding in with the spatula. I do this in three steps to avoid the white holi all over. Once combined transfer the cake batter in the baking tray and let the batter rest for about 15 mins. Decorate the top with blanched and peeled almonds. Bake it in the pre heated oven at 160 C or 320 F for one hour. After an hour reduce the heat at 150 C or 300F and bake for another 30 minutes. This cake requires low heat and some time. Once done insert a toothpick at the center to check. If it comes out clean you are done. Cool it off on a wire rack once it’s done. Pro Tip : If you find some loose crumbs in the toothpick test don’t bake for extra minutes. Keep it inside the hot oven so that the residual heat does its magic. Grease a round cake tin with butter. In a mixing bowl place sugar and butter. 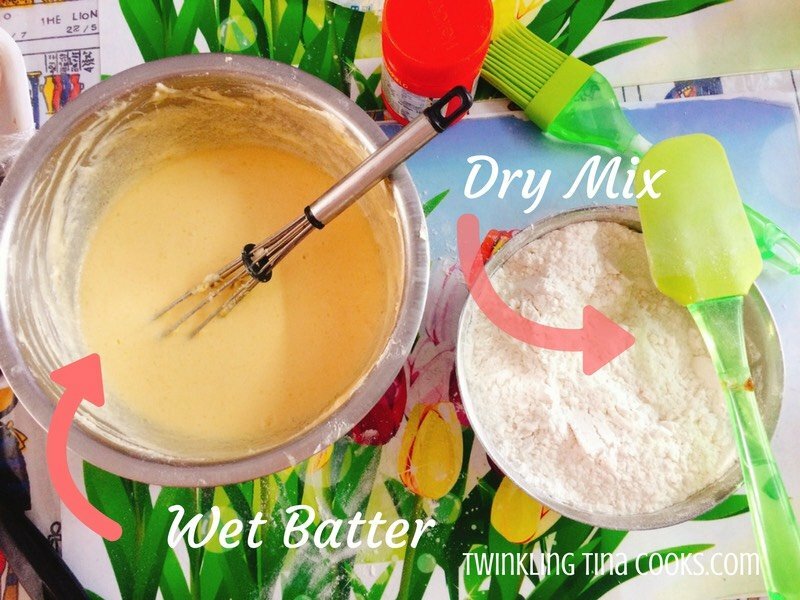 Mix/Beat with an electric mixer. When the sugar and butter is all airy and creamy add the eggs one by one. In a spearate mixing bowl, take sifted flour, baking powder, salt, almonds flour or ground almonds. Mix them with a spoon so that the baking powder mixes well. Add the flour mix to the wet batter and fold in gradually with the spatula. In the greased and lined cake tin, pour the batter and rest for about 15mins. 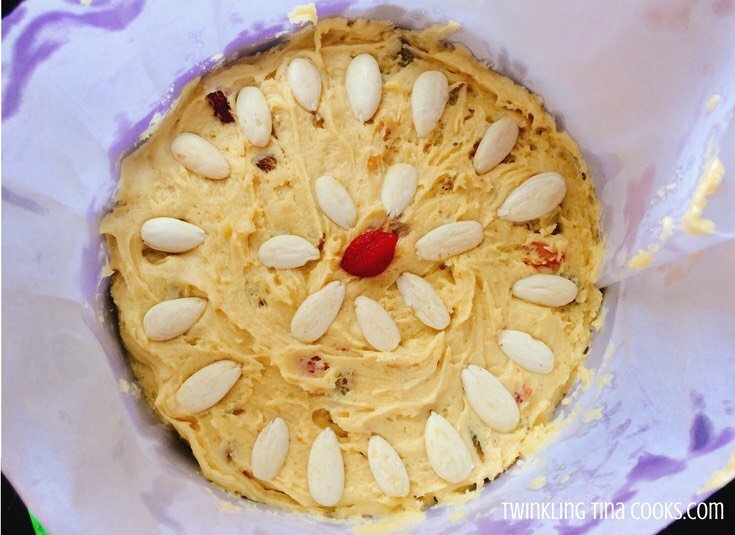 Decorate the top with blanched and peeled almonds. Bake it in the pre heated oven at 160 C or 320 F for one hour. After an hour. reduce the heat at 150 C or 300F and bake for another 30 minutes. This cake requires low heat and some time. Once done insert a toothpick at the center to check. If it comes out clean you are ready. Cool it off on a wire rack once it’s done. And that’s it all you need to do is cut it up and ready! Now that’s what I did. You can get creative and add some icing, or cover it up with marzipan and some cake toppers. We love cakes at our home and folks can’t wait much after it has come out of the oven. My little one has gone the same way. He actually wanted to run away with the piece on the plate! This is delicious and I have pinned it to make later.I love Tina’s recipes and her protips rock.A big fan of twinklingtina cooks. Hope you’re feeling better Shalini. This is a lovely recipe! Gotta give it a try soon. Thanks!! Sorry to hear about you not being well, Shalini. Hope you feel better soon. Tina, that’s a delicious recipe…I shall definitely give it a try once am back from my trip. Wishing both Shalini and Tina a very Merry Christmas and a Happy New Year. 🙂 See you in 2017!!! Thank you Shalini for hosting Tina here 🙂 I hope you are feeling better now. Hope you are feeling better now, Shalini. Yes, North Indian winters can be brutal. Loved your recipe, Tina. I don’t bake much but this looks simple enough to try. You had me at booze. This looks so delicious! Dear Shalzz n Tina, you girls are simply awesome! This is the 2nd time today I am coming back to read this post…drool drool! I hope I can make this one. Tell me what I can replace brandy with…I have red/white wine, whisky, vodka. I have no clue how these will taste in the cake. Love the recipe. Shalzz I hope you are better now. Go have a big chunk of brandied cake….you’ll be fine 😉 love and hugs girls!! This does not have the ingredients that normally make me avoid fruitcake. The ground almonds are a delicious addition, too. Gosh this looks so incredibly awesome… absolutely delicious. You and Tina always give me some major kitchen goals… for next life. Take care Shalz … stay warm and cozy. Lol why next life Raj. If you are patient enough for sushi – this is child’s play! Merry Christmas Tina and Shalu! That cake looks delicious. I love fruitcakes, especially when they’re nutty 😛 I don’t blame your little one for wanting to run away with the cake! Looking forward to trying this– without the eggs! Hehe, he’s actually very fond of cakes. You can replace the eggs with mashed bananas or yogurt.